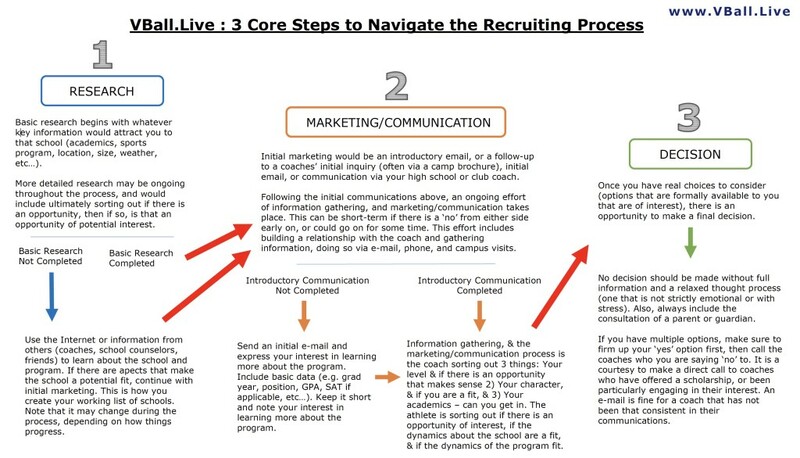 This page includes helpful advice and information about how you can get recruited to play in college, and we will continue to update and add information here. Scroll down & enjoy all the info! Want to play volleyball in college? Depending on your level of play, your academics, your dedication and desire, and support from your coaches, your child can play volleyball in college! 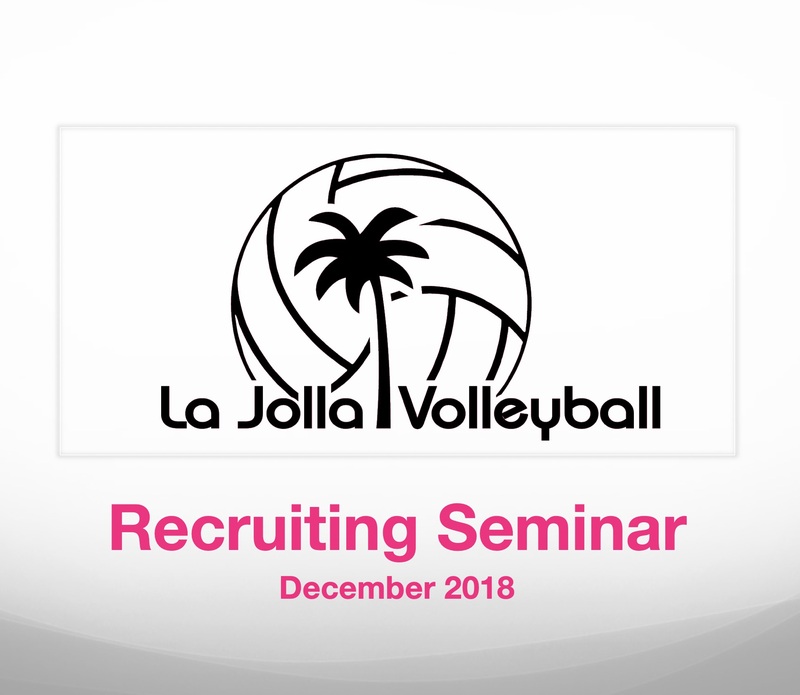 Volleyball coaches want to hear from YOU… The Player will need to put in some time and effort to reach out to colleges, market herself, and find her desired school(s). By reaching out to college coaches, you will open many more doors and find yourself being recruited, and possibly discovering schools you had not heard of, but want YOU to play in their program! Start sending personal emails to coaches! Keep in contact and be sure to always REPLY to coaches within 48 hours! Playing a college sport is not easier than high school or club. It’s even MORE work and demands strong time management skills. It’s never too early to start managing your own time and priorities… Parents, let your daughters be in charge of their schedules and commitments now, so that college is not such an overwhelming shock. But if you do want to play in college, it’s rewarding and memorable and exciting! 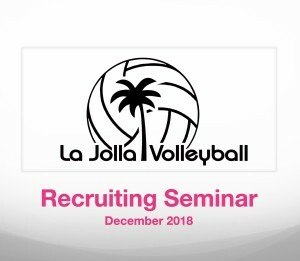 All La Jolla Volleyball club, all players on our high school age travel teams (15s-16s-17s-18s) receive membership/access to SportsRecruits.com, providing access to every college program in the country and personalized player profiles. HUDL: all LJV players 14s-18s have Hudl! Best way to re-watch your games AND make highlight videos! NCAA Eligibility Center – register now; but no need to pay for D1 or D2 if you are not sure yet, just register info. lots of free helpful info/advice on their website, so get on their emailing list for free info & blogs. Get your profiles updated (video highlights, your grades) and be sure to contact college coaches BEFORE tournaments and showcases! Good luck, everyone… there’s a great-fit college and volleyball program for YOU!